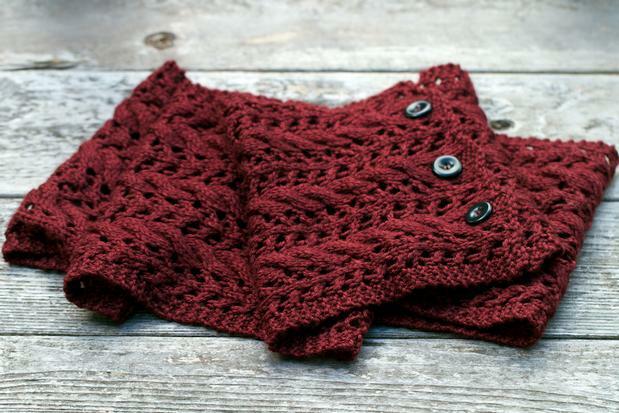 Sizes Included: 9" x 44", 10" x 58"
Bryant is a two-in-one scarf pattern with lots of texture and lots of options, including buttons for wearing the scarf as a cowl! 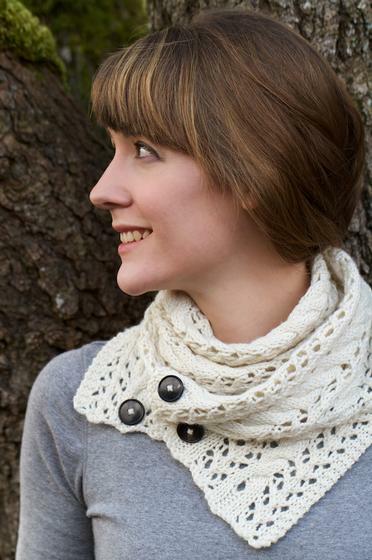 Knit in a beautiful merino and silk blend, the lace stitch pattern is repetitive, easy to follow and charted throughout the pattern. 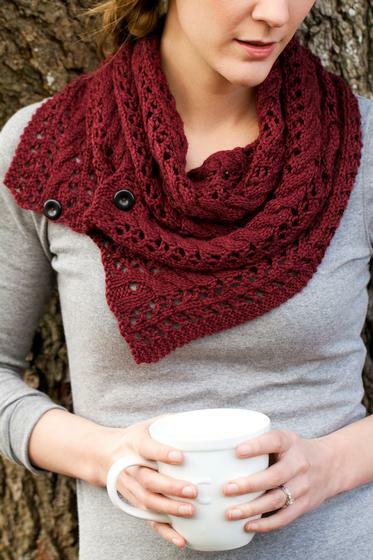 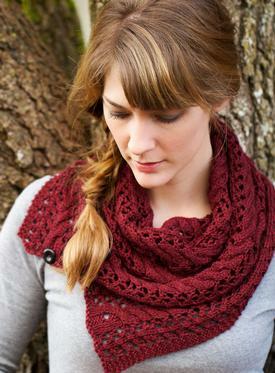 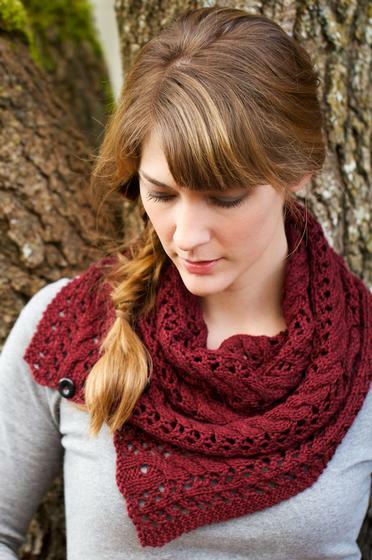 This is a great pattern to try knitting with charts if you’ve never done it before! 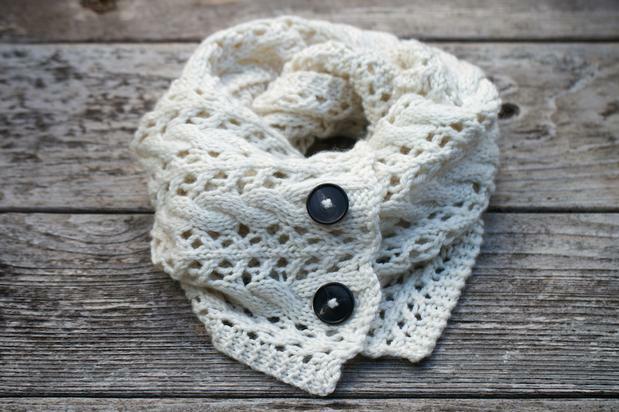 Bryant includes a short version (looped twice and buttoned, it is the perfect length for tucking into a winter coat and keeping your neck warm) and a longer version which is long enough for a scarf or looped twice and buttoned up as a cowl. 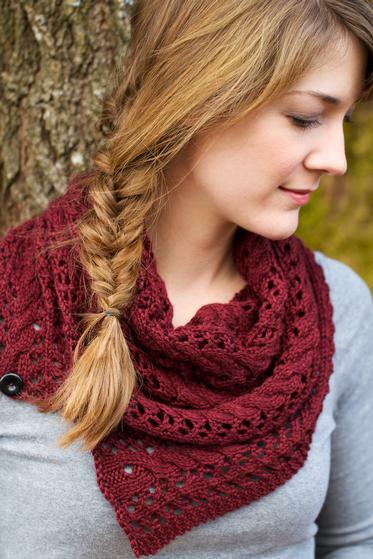 Either way you wear it, the cables and lace transition well from winter into spring!